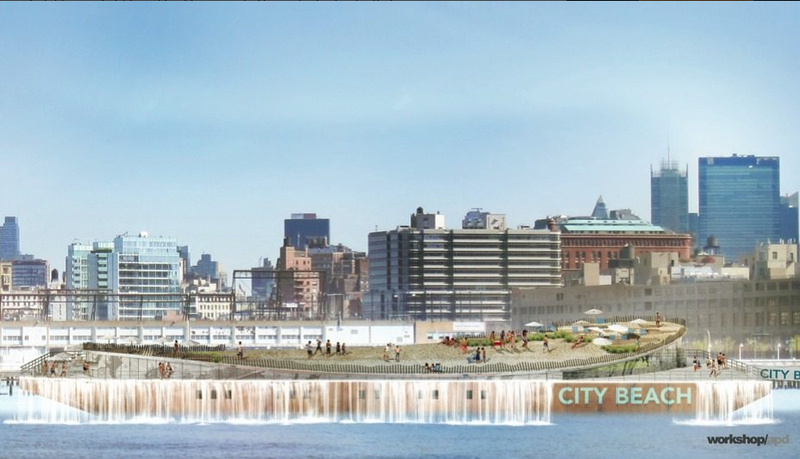 As New York City’s +Pool—the world’s first floating swimming pool—gets closer to the water, it was high-time for another river-based project to make itself known. 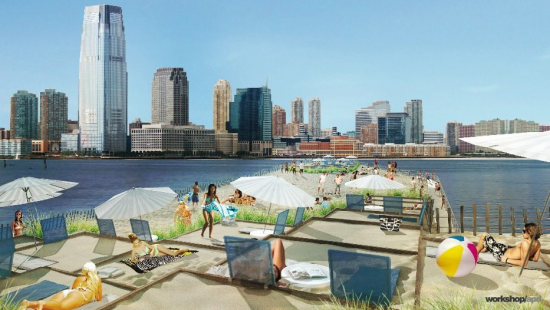 The latest comes in the form of City Beach NYC, a beach-topped barge that would float in the Hudson River. The idea for the vessel comes from Blayne Ross, and it was designed and engineered by Matt Berman, and Andrew Kotchen from workshop/apd, and Nathaniel Stanton of Craft Engineering. 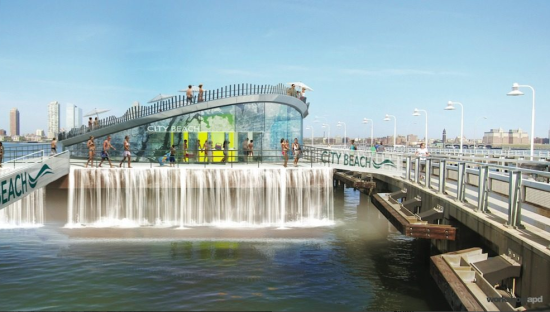 The team will be launching a Kickstarter for its project on June 19 and is aiming for a 2016 opening, the same year +Pool aims to be in the water. The race is on.